Dr. Fujita has served as Professor in the Department of Economics / Regional Science at the University of Pennsylvania; Professor of the Institute of Economic Research at Kyoto University; and President of the Institute of Developing Economies – JETRO (2003-2007). 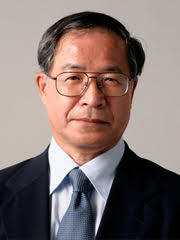 He has also served as the President of Japanese Economic Association (2009-2010). He holds a PhD in regional science from the University of Pennsylvania. His research and teaching interests are urban economics, regional economics, international trade, and spatial economics. His major works include: Urban Economic Theory, Cambridge University Press,1989; The Spatial Economy: Cities, Regions, and International Trade, MIT Press, 1999 (with P. Krugman and A.J. Venables); Economics of Agglomeration: Cities, Industrial Location, and Regional Growth, Cambridge University Press, 2002 (with J. Thisse), 2013 (2nd edition); Regional Integration in East Asia: From the Viewpoint of Spatial Economics (editor), Macmillan, 2007.